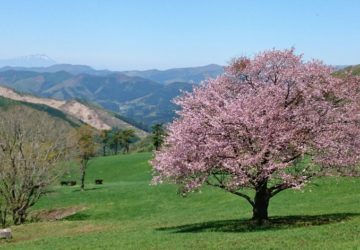 The best season to view the cherry blossoms is early May. 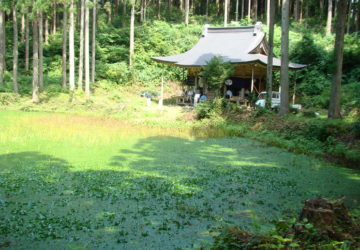 A single cherry tree on a carpet of green is a local symbol of Sotokawame-mura. 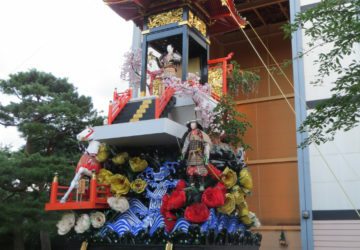 The Yakata Dashi (float) with a height of over 10 meters. 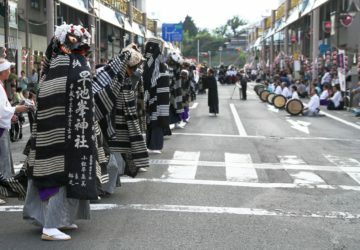 The Dashi is a reproduction of a float used for the Hanamaki festival during the Meiji period and was made as part of the 400th anniversary of the city of Hanamaki. 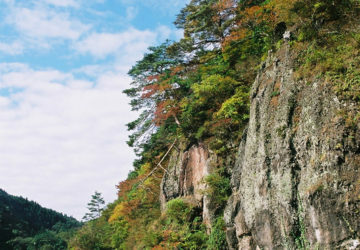 The ruins of the Karamatsu castle – It is the ruins of a frontline base owned by the Ando family who had long divided and conquered Akita prefecture since the medieval period. 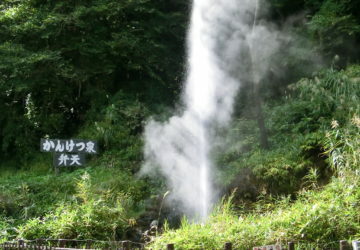 It ejects the 20m stream of hot spring water every 10 minutes, showcasing the wonder of the great nature. 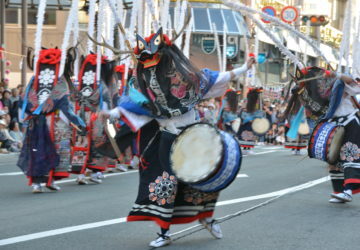 This dance is performed at Hanamaki Festival in September. 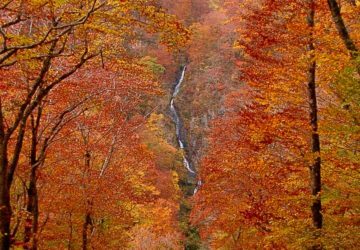 Or you can see it at Hanamaki Hot Spring Town for a fee (reservation required). 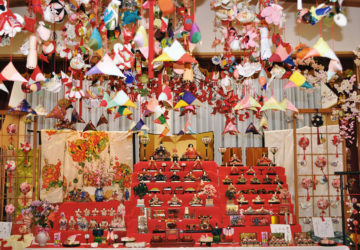 Contact Hanamaki Tourism & Convention Bureau. It is three minutes away by walk from JR Hanamaki Station. 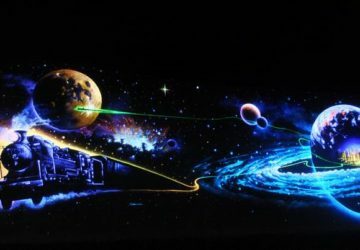 You can see a magical image emerging on the large wall with a height of 10 meters and a width of 80 meters. 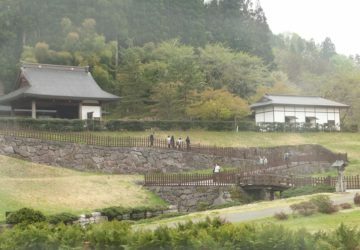 A mansion that was built during the Edo period and is a city-designated cultural property. 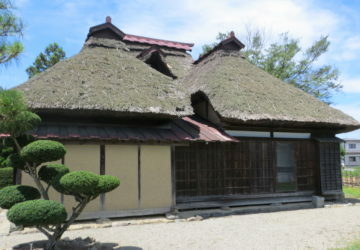 It consists of two buildings, and one of them had been fully rethatched by December, 2016. *Blue SPOTS indicates base towns where there are accommodations and easy access to surrounding locations.